Aurora HDR 2018 1.2.0 – Advanced HDR software. Aurora HDR 2018 is one of the world’s most advanced and amazing HDR applications, co-developed by Macphun and Trey Ratcliff — the world’s most famous HDR photographer. You get tools, power, flexibility and creative freedom to make amazing HDR photos in minutes, without Adobe Photoshop, Lightroom, or any other software. HDR Excellence. Aurora HDR combines Macphun’s proprietary image tone-mapping, a fun user interface and Trey’s excellent photographic vision. You get fast and powerful results for creating HDR photos with styles from completely realistic to extreme. Complete Set of HDR Tools. 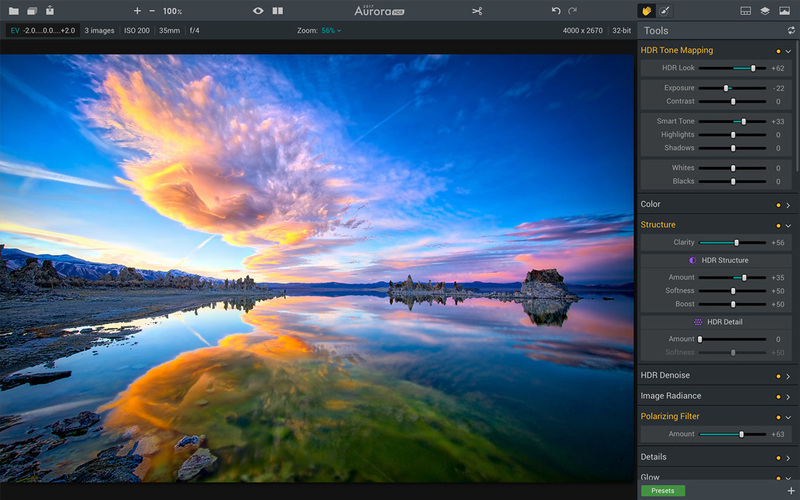 Aurora HDR features an easy-to-use, versatile workflow that supports every style of HDR. It simplifies the creation of beautiful photos with with auto alignment and automatic deghosting technology, over 60 powerful editing tools and scores of 1-click presets developed by Trey Ratcliff and the Macphun team. Presets for Instant Magic. You want amazing results, quickly? Aurora HDR presets for various photography styles will give it to you. Even create your own presets and share them with other artists. Unique Editing Tools. Take advantage of custom textures, layers, brushes, image radiance, structure and detail controls, vignette and vivid colors and much more. Aurora HDR includes best-in-class toning, split-toning, color filter and even graduated neutral density tools to help you achieve fantastic results, easily! Next story Tonality 1.4.2 – Create mind blowing black and white photos. Previous story Snapheal 3.1 – Quickly remove objects and people from photos. Art Directors Toolkit 5.5.1 – Utilities geared towards graphic artists. PhotoSweeper 2.0.3 – Find, sort, and eliminate similar photos.